The Snowdon Aviary was the first aviary in Britain to give visitors a walk-through experience, bringing them closer to amazing bird species, however, it's now in desperate need of restoration. We are bringing this Grade II* listed, iconic structure back to life as a stunning new walkthrough for our impressive troop of colobus monkeys, African grey parrots and antelope. Bringing visitors up close to these amazing animals, watching the colobus monkeys fly from tree to tree overhead will be a truly immersive experience. These species will also give visitors an insight into the work ZSL does on forest conservation and to tackle illegal wildlife trade with the African grey parrot being one of the most traded bird species in the world. We are offering you the chance to truly be part of this exciting new exhibit at ZSL London Zoo with your name or personal message being built into the new structure and on display. Your donation will go towards ZSL's conservation work within our zoos, the UK and over 50 countries around the world helping to protect animals like the colobus monkeys in the wild, carry out vital scientific conservation research and provide education to thousands of school children to learn and care about wildlife. 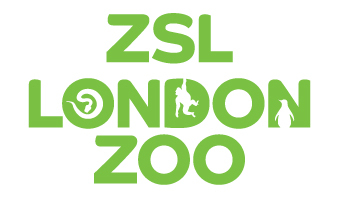 ZSL London Zoo appoints prestigious architects for historic Snowdon Aviary project in November 2016.